onPartner is an online MLM (Multi-Level Marketing) networking software for companies that are working closely with independent sales partners. This online networking software helps users enjoy fast and simple access to updated and clear sales data as well as other processes that are involved in sales, including international ordering and provisioning. From a single, unified place, users are able to manage both operation and sales as well as enjoy unhindered access to sales information. Whenever someone completes a sale, the information goes live and everyone is a witness to his or her success. Managing downline is a breeze plus communication within the team via email, SMS, and internal messenger is fast and seamless. This empowers users to become more productive and boost their revenue exponentially, ultimately resulting in the success of their business. 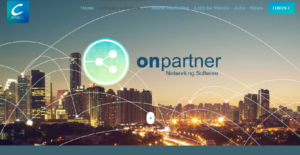 onPartner is an online-based networking software and doesn’t require you to install anything into your system. You can access the system anytime and anywhere using your desktop and laptop. A mobile app is available, making it easy for you to view the information and keep yourself updated using your mobile devices regardless of time and location. All records are automatically updated and made available instantly. For instance, whenever someone receives a payment whether manually or through the payment interface, the said development is visible to everyone. This empowers you and your users to perform better, resulting in enhanced productivity and bigger sales. You and your sales partners can easily take a look at your team’s performance and do evaluations based on their sales, turnovers, items disposed of, etc. The information is very thorough, providing you a clear picture of your downlines’ performance and discover areas that require coaching, expert guidance, and motivation. You and your team can reach out and engage each other in discussions, share ideas, and provide insights on to improve their sales performance. onPartner comes with communication tools including internal messenger, email, and SMS to get everyone on the same page, help disseminate information, and motivate each other towards individual and common goals. What Problems Will onPartner Solve? onPartner provides a networking software for organized and/or structured sales and is perfect for all sorts of users. It is online and does not require any installations. Each company has its own characteristics, and may call for a particular type of Marketing Software solution that will be designed for their business size, type of clients and staff and even individual niche they deal with. You should not count on getting a perfect services that will work for every company regardless of their background is. It may be a good idea to read a few onPartner reviews first and even then you should keep in mind what the service is supposed to do for your business and your employees. Do you need an easy and intuitive app with just basic functions? Will you really make use of the advanced tools needed by pros and large enterprises? Are there any particular features that are especially beneficial for the industry you work in? If you ask yourself these questions it is going to be much easier to locate a solid solution that will match your budget. How Much Does onPartner Cost? Contact Crea Union for basic and enterprise pricing information on their onPartner Software product. You may also submit a demo request to see if the software is a perfect fit for your business. We realize that when you make a decision to buy Search Marketing Software it’s important not only to see how experts evaluate it in their reviews, but also to find out if the real people and companies that buy it are actually satisfied with the product. That’s why we’ve created our behavior-based Customer Satisfaction Algorithm™ that gathers customer reviews, comments and onPartner reviews across a wide range of social media sites. The data is then presented in an easy to digest form showing how many people had positive and negative experience with onPartner. With that information at hand you should be equipped to make an informed buying decision that you won’t regret. What are onPartner pricing details? What integrations are available for onPartner? If you need more information about onPartner or you simply have a question let us know what you need and we’ll forward your request directly to the vendor.